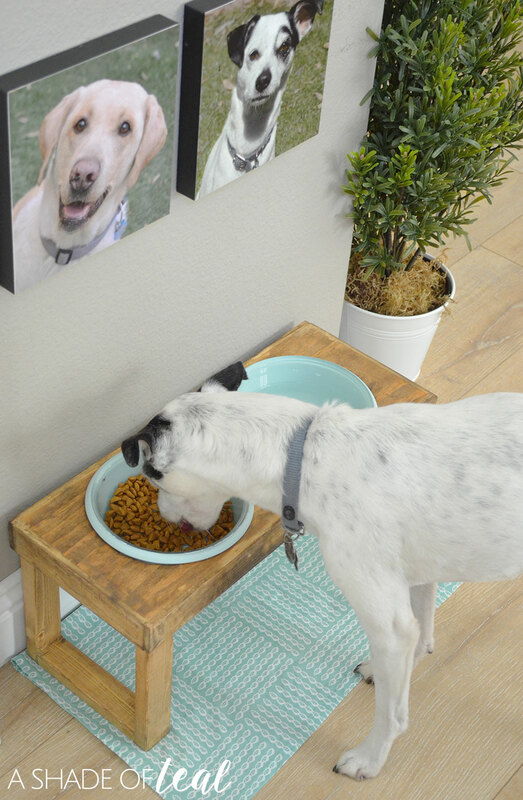 Having a designated dog food area has become a priority in my home. We tend to move the bowls all over the place to either keep my daughters from playing with them or get them out of our way. Lately I’ve been so tired of tripping and kicking them over that it was finally time for a solution. 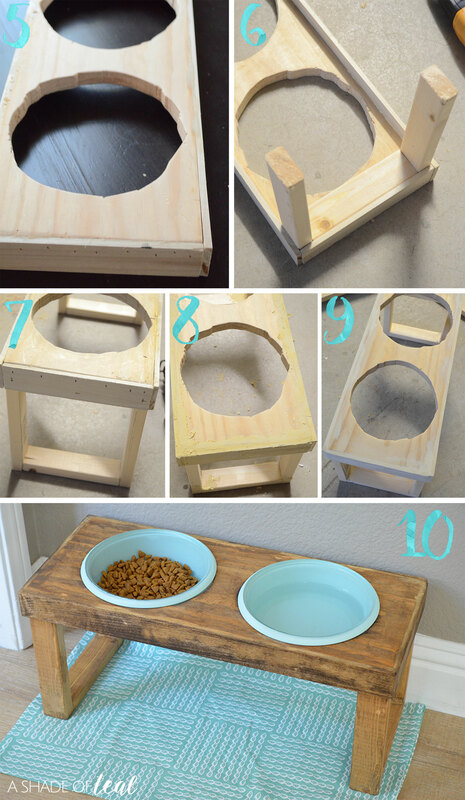 So I made him a Raised Dog food Feeder! My poor dog has had his food scattered across the floor; I don’t know how many times! 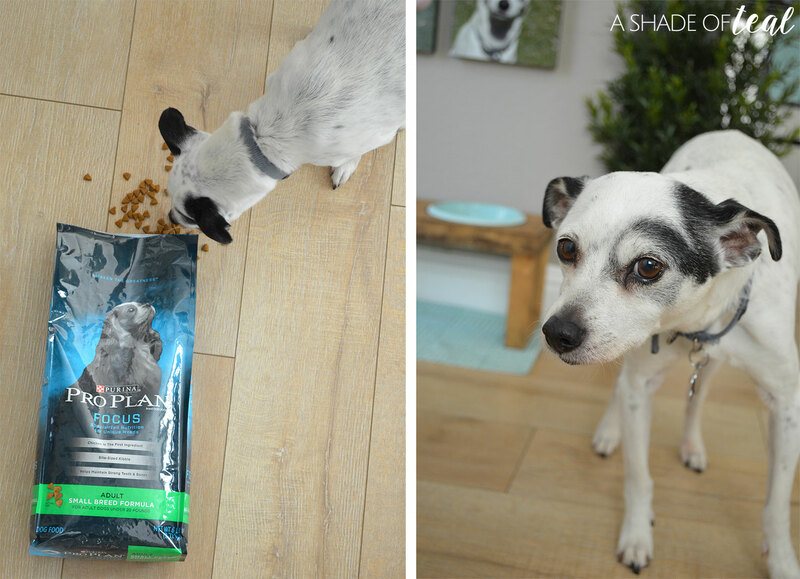 I’ve felt so bad that I wanted to treat him to his own special place with his favorite food, Purina® Pro Plan® brand DOG FOOD. Treating my dog to his favorite things means the world to me. He brings so much joy and happiness to us that he deserves it in return. Making sure he feels his best is always important. I’m just glad I have a dog food company that feels the same way. 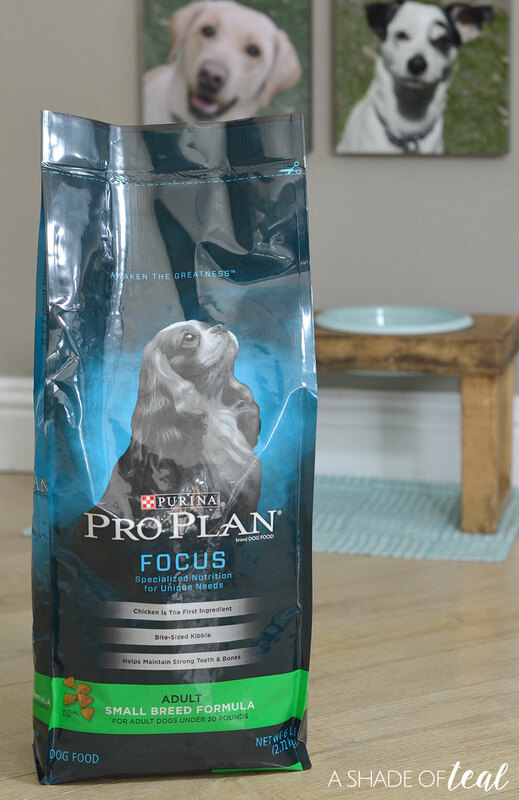 Purina® Pro Plan® brand DOG FOOD is Nutrition that Performs®! No wonder why they are the preferred food to keep all the Westminster Dog show champions on their game! I couldn’t agree with this video more, my dogs nutrition comes first. Since as we all know without good nutrition you won’t get that happy, healthy, and energetic dog. My little guy needs it more than ever since he now has 2 little girls to keep up with. So if you want to treat your 4 legged friend to something special then learn how I built this raised dog food stand. 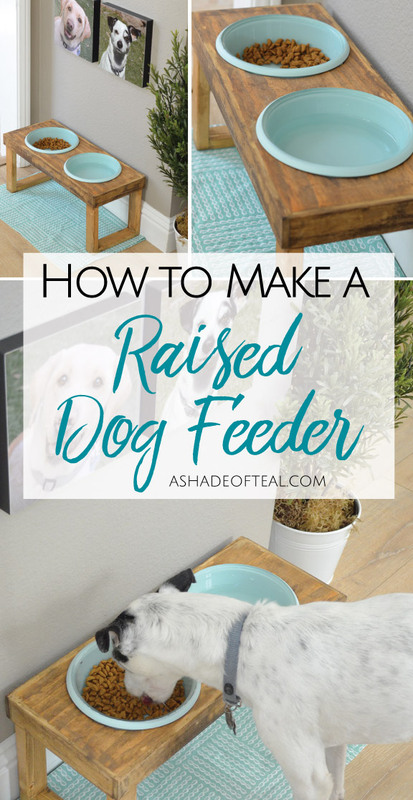 The feeder was fairly easy to make, but please take in to account the height of your dog. My dog is small so the overall stand is only 8″ off the floor. Step 1: Take the top board and trace around the bowls. Step 2: Use your 1/2″ drill bit and drill a starter hole. 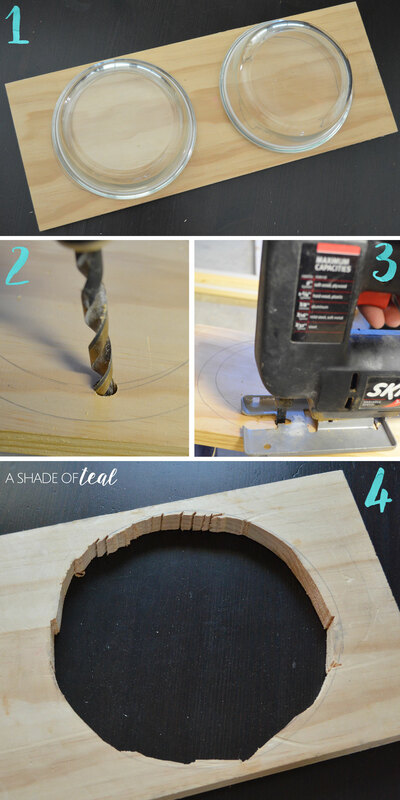 For a faster approach you can drill several holes all around the circle then cut with your saw. Step 3: Start cutting out the holes with your saw. Step 4: It doesn’t need to be perfect since the bowl will cover it. But once cut, test your bowl to make sure it fits. Step 5: With glue and and nail gun, add the sides to the top of the board. This will frame it out, and make it look more finished. Step 6: Add the legs with glue and nails as well. The 5 3/4″ piece will be attached to the top and the 7 1/2″ pieces will extend. Step 7: Finish the legs on both sides with the bottom connecting piece (5 3/4″). Step 8: Putty all the holes and any exposed seams. Step 10: Finish with stain or paint, then add your bowls. I also painted the exterior of my bowls to give them an extra pop of color! I setup his new food station in our kitchen. It was the perfect place as it sits against a wall and out of any major walking paths. No more tripping over his bowls! He already loves it, and it’s the perfect custom height for him. Of course I love it too, since it sits with the rest of my decor. 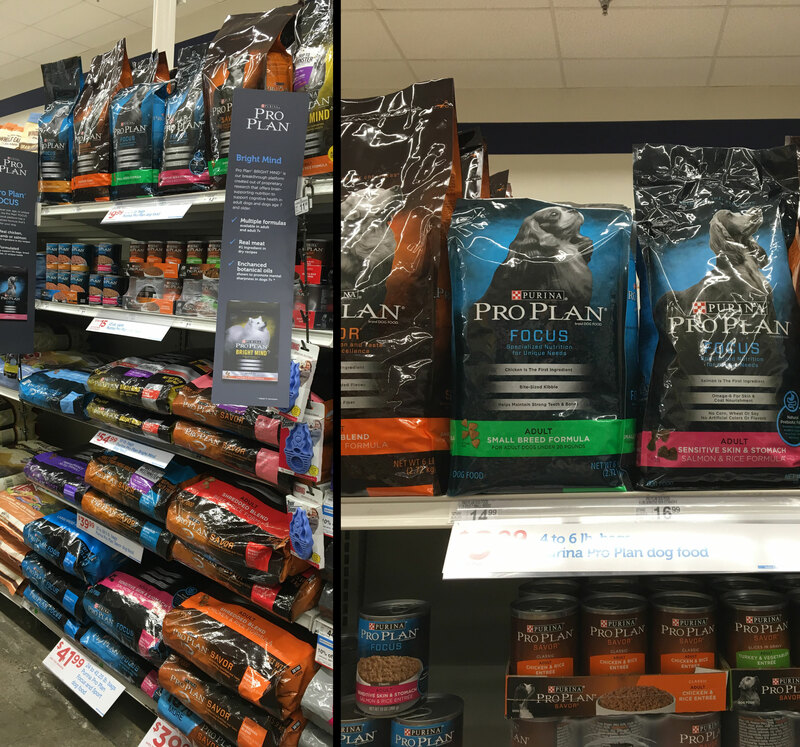 So next time your at Petco make sure to pick up a bag of the Purina® Pro Plan® dog food. It comes in several varies that will suit your dogs needs. My little guy is pretty small so we prefer the Purina® Pro Plan® Focus in the Adult small breed formula. The #1 ingredient is real chicken and has natural probiotic fiber, sourced from wheat bran, that helps promote digestive health. You can find it in the dog food section, located by brand. Have you ever been to the Westminster Dog show? Was it incredible? I can only imagine how much fun it would be, that’s why you need to make sure to enter for next year!!! « Modern Farmhouse Spring Decor, on a budget! That came out great. It is way easier to make than I would have thought! This looks fantastic! I only have cats, but I’m tempted to make one of these for them. It would work just as well and they’ll love it! I always want the best for Sally(my dog). And when you mention out that Purina helps promote digestive health, well I guess I better try this one now. Thanks for the thorough review and for this post. That’s a great DIY project, I love it! LOVE the wood stain too. What’s the brand that you’ve used for that? This turned out really great. We made something similar for our dog last summer. He has loved it. He is a big lab and having the raised feeder makes a difference. It really does make a difference, I wish I made it sooner. 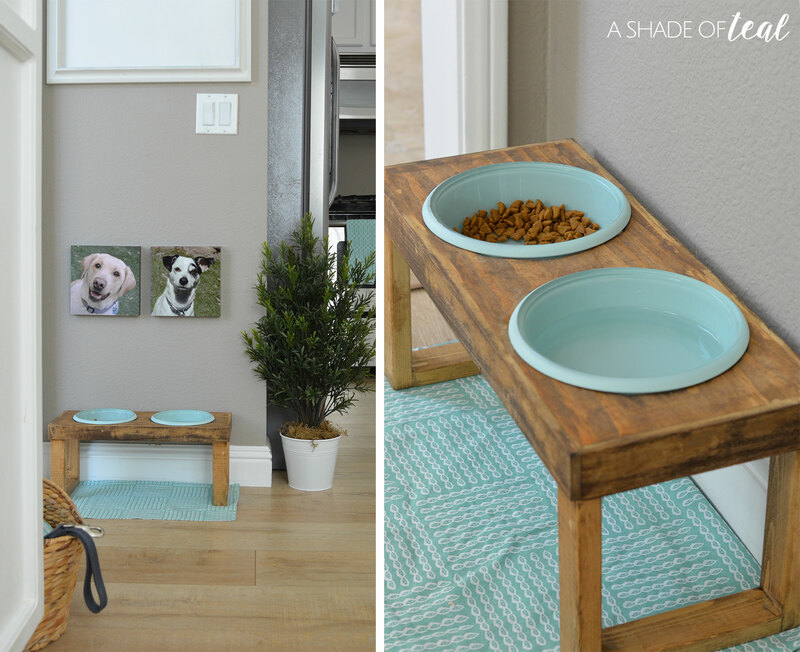 It’s been a long time since we last had a dog but we do have a cat and it would be nice to make this for him! It’s good to know that you found the perfect food for your fur baby as well. Thanks Elizabeth, your cat would love it! what a great project! It’s a good prize for the pets too! They deserve it. i wish i could make one for my dogs too! ill try and make one. You should, it’s fairly easy to make. SUch a great DIY. ALways in awes of people who are talented this way. Love the way you stained it too. 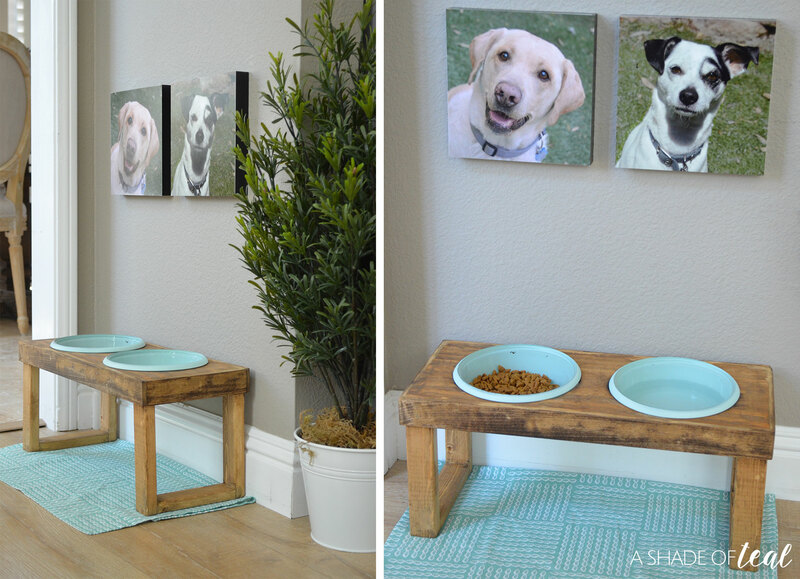 This is a great idea and project for people who do have mid sized to large dogs. Looks fun and pretty easy to do. I have little dogs so they wouldn’t be able to use this. Love the DIY. Thanks Cynthia! You could always modify the height to suit your dog. 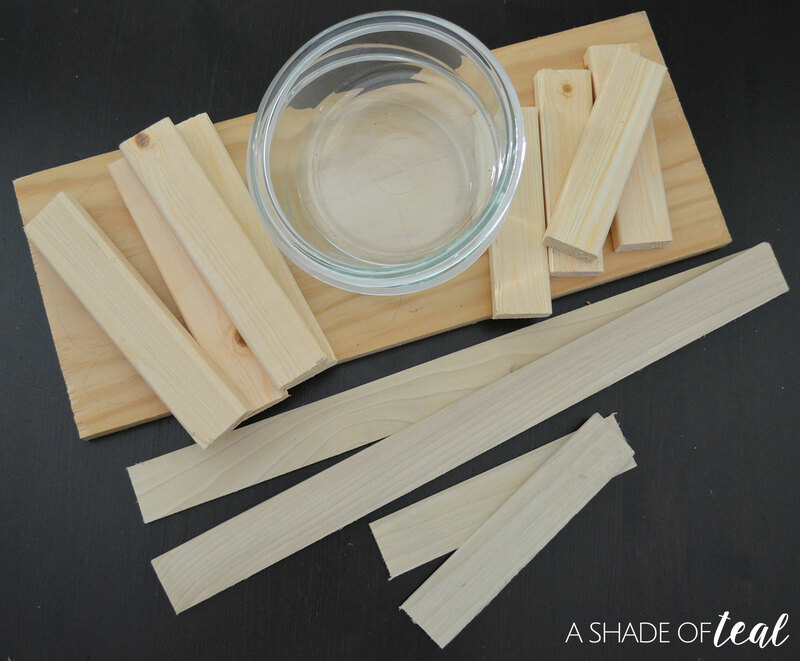 This is such a great DIY! It’s pretty straightforward too, I think even a non-handy person like me could make one! Yes, definitely a easy DIY project! This is so cute! I wish my dogs didn’t have such a vast height difference, LOL! 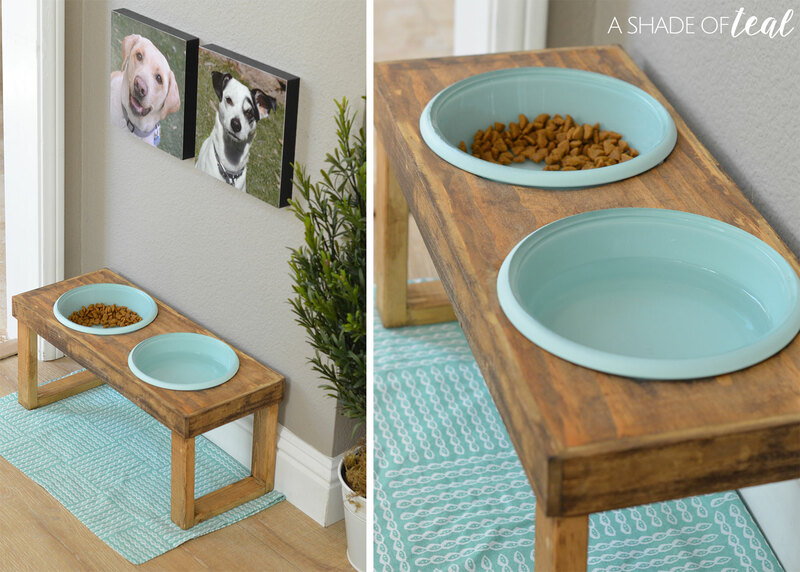 We don’t have pets at home, but this is interesting how you can make such feeders for the dog to make it easy for them. 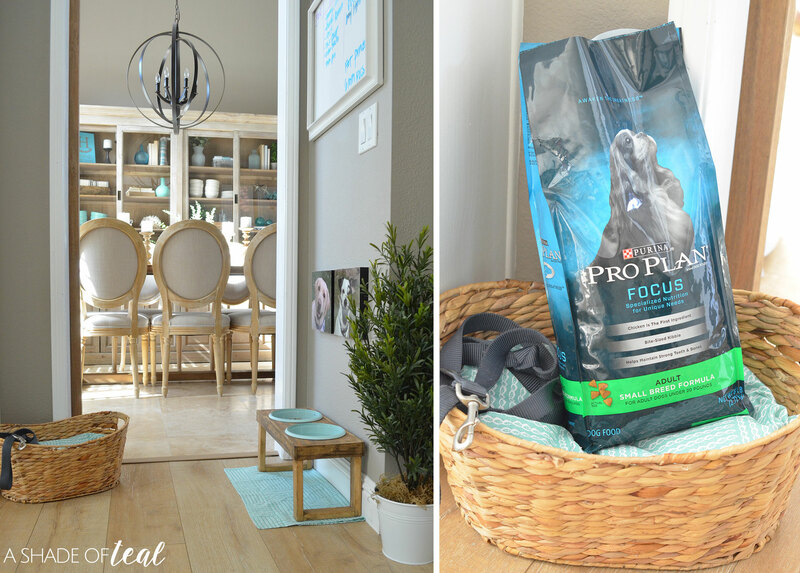 The Purina Pro Plan looks great and the craft work looks amazing too, which could be helpful for dog owners! I love this tutorial, it seems quite easy to do too, thanks for giving me an idea! What size are are canvas prints? This looks great, i can’t wait to make it! I would also like to know the size of the bowls you used, please.